Cheryl Perich as I show in Out of Many One, Obama and the Third American Tradition,knows that last time, the Supreme Court decided that work conditions were beyond the reach of the federal government. Perich wanted to fight discriminatory action by her employer under the Americans with Disabilities Act Amendments Act (ADAAA). She was out of luck, since her employer was a religious school. Although she taught primarily secular subjects, her employer never had to face her allegations. Instead, a unanimous Roberts Court reinforced the so-called “ministerial exception,” ruling that this school had the freedom to hire and fire ministers without having to follow federal employment laws — ignoring the content of what she taught. The fact that she taught in a religious organization was enough. Well, a craft shop like Hobby Lobby is not exactly a church. It’s not a non-profit created for any public purpose. It’s a for-profit family business. Will the Supreme Court give private, for-profit, family-owned companies something akin to a ministerial exception? Do businesses not in the business of religion have any business dictating the health care of only women employees? This case pits women’s rights against religious freedom. Neither the employers nor the employees are delivering a non-profit service. They are not peddling any freedoms, the way a church peddles religious freedom. So how could these employers dictate the health-insurance benefits of their employees? Given the benefit these employers disagree with, how can they pick on only female employees, who have the right to equal treatment under law? How could the right to manage become a block or a hindrance to a woman’s right to choose? 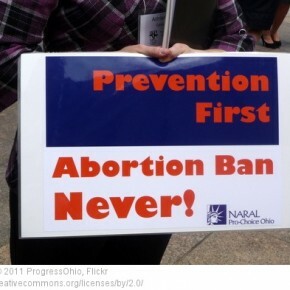 After all, abortions are a legal health procedure. It is a woman’s right to choose, not an employer’s right to choose for them. Will Seventh Day Adventists be free from giving their employees health care that requires types of medicine that violate their beliefs? It’s good for the Supreme Court to address this issue head-on. But there is only one conceivable outcome.